What started as a small get together between likeminded Elvis fans back in 1993 has today grown into an internationally renowned event endorsed by the estate of Elvis Presley. The Festival turns 25 this year and will celebrate with a ‘Viva Las Vegas’ theme, so get set for a neon lit bejeweled sin city spectacular! Highlights include: ▪ Feature Concert Series – Billed as two of the world’s best Elvis performers, Jake Rowley (US) and Pete Storm (UK) are set to perform four sensational tribute shows at the Parkes Leagues Club for the Festival’s 2017 Feature Concert Series. (Thursday 12 – Sunday 15 January, 2017). The return of the Ultimate Elvis Tribute Artist Contest – see the world’s top Elvis Tribute Artists battle it out in electrifying rounds to become the winner and go on to represent Parkes at the semi-final in Memphis, USA. ( Friday 13 – Saturday 14 January 2017). The Elvis Express rolls its way from Sydney to Parkes with hundreds of passengers enjoying onboard entertainment from a bevy of Elvis tribute artists (Thursday 12 January, 2017). The 2017 Miss Priscilla Dinner sees the sashing of the Face of the Festival, 2017 Miss Priscilla, as the audience enjoys a two-course dinner and show (Thursday 12 January, 2017). The highlight of the weekend, Northparkes Mines Street Parade, with Elvis-themed floats, Elvis and Priscilla look-a-likes, vintage cars and marching bands to boot (Saturday 14 January, 2017). The Elvis Gospel Service, reminiscent of a Southern Revival service, sees Pete Storm making a special appearance alongside local choirs and musicians (Sunday 15 January, 2017). Witness couples rekindle their love before an Elvis celebrant at the Renewal of Vows Ceremony (Sunday 15 January, 2017). The 2017 Parkes Elvis Festival features more than 120 free and ticketed events, shows, concerts and competitions. The 2017 program is now available online and in print pocket-guide format. The Official Souvenir Program is also available for order from the Parkes Visitor Information Centre. 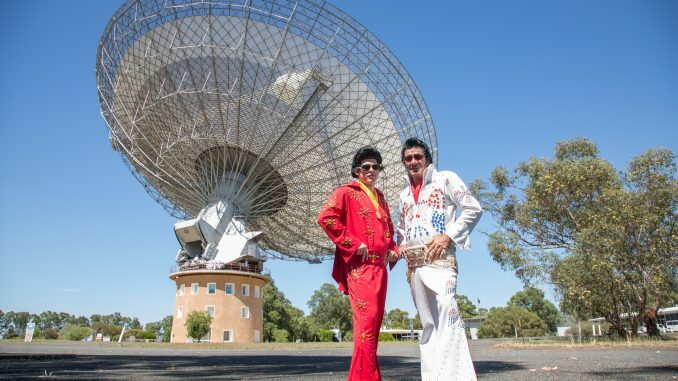 Parkes Elvis Festival is proudly supported by the NSW Government through its tourism and major events agency, Destination NSW.